Our Dad Blogger, Robert has been super busy taking his little Ava on numerous adventures. 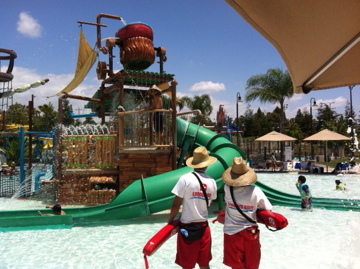 He shares with us about their experience at Buccaneer Bay in La Mirada last week. This is one place I can’t wait to take my kids! As the temperature climbs while we ease into summer, I am happy to share with you my families favorite “cool down” destination. 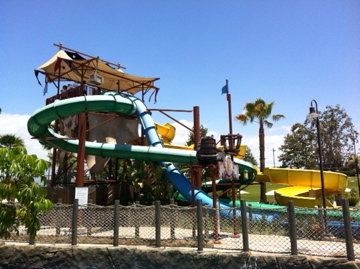 Buccaneer Bay in La Mirada is a Water Park that is so much fun for kids that my family has gone 2 times in the last 3 days! 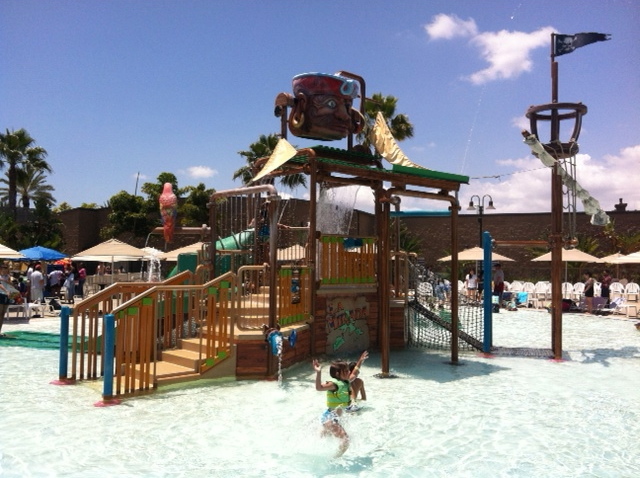 At Buccaneer Bay they have created a Water Park oasis that is geared towards family fun. If you are looking for a Water Park with slides that will scare you with in an inch of your life this place is not for you, perhaps another water park would be better suited to your needs. Maybe I am getting old and cranky, but I was so happy that there there were no obnoxious older teenagers running amok ruining it for the younger kids. As soon as we entered the facility I could tell that this place caters to children, as there were plenty of life vests available at no extra charge, sufficient security and lots of lifeguards keeping an eagle eye on the water. I was pleasantly surprised to find that there are plenty of bathrooms along with one just for families, and that they all were very clean. For the very young they have a zero depth entry pool, for those who are older there are some small slides and activities. If your children are 48″ or taller there are 3 different slides that are lots of fun to ride. Luckily my daughter has just surpassed the 4 foot mark so she rode the big slides to her hearts content. 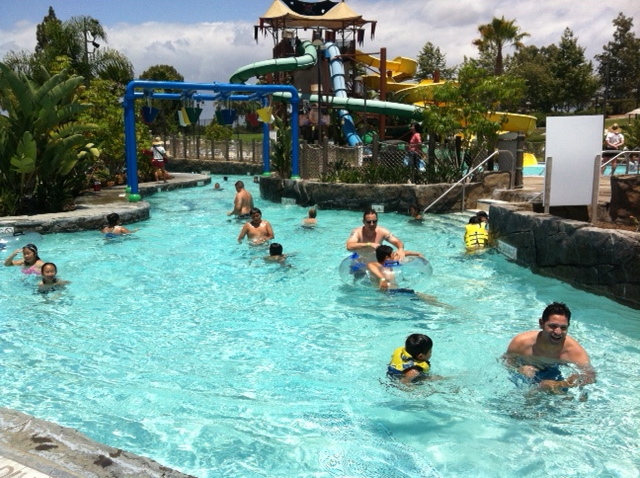 My favorite part is the lazy river, where we hopped on an inner tube and took a relaxing journey around the park. For you adults that may want to work on your tan, there are plenty of grassy areas to lay down and soak up the suns rays. What impressed most about Buccaneer Bay is that the pricing seemed more than fair. At some of the admittedly larger water parks there is a $15 parking fee, here they have FREE parking that is also close to the entrance. Admission is $17.95 or just $12.95 for those who are under 48″. I was also happy to find out that the snack bar was reasonably priced. As an example, a combo platter of a freshly cooked burger, chips and a soda was 8.95 and a kids combo of chicken nuggets with fruit cup and juice was 5.95. While we are on the subject of good deals, they are offering summer passes for $49 if you purchase before May 31. We bought passes for the three of us in our family and I am glad that we did. * There are plenty of chairs available but not as much shade as I would have liked, so if you can find a chair under one of the umbrellas, claim it right away. * sandals or flip flops are a good idea to bring as the concrete will be hot during the summer months. 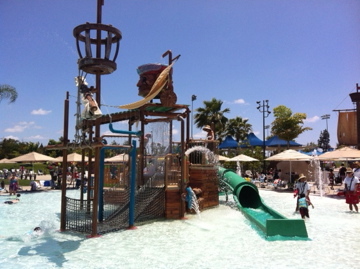 This entry was posted in Uncategorized and tagged Buccaneer Bay, Buccaneer Bay La Mirada, Robert O'Connor, Splash, Water Park Southern California. 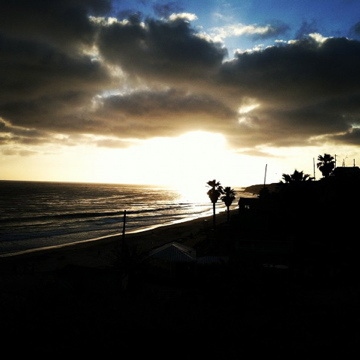 From Tourist to Tour Guide with Apartment Guide: Discovering SoCal! Last week I shared about my partnership with Apartment Guide and going from Tourist to Tour guide thanks in part to their helpful suggestions found in the Apartment Guide Blog. We decided to head a little south and had a great time taking PCH from Newport Beach to Encinitas. We had to hop on the freeway through Camp Pendleton but hopped right back off in Oceanside. It was such a blast! We stopped off at Ruby’s Shake Shack and watched the sun go down and also spent a beautiful afternoon exploring the San Diego Botanic Gardens! I’ll be posting an in depth look at the visit later on next week. I just have to say it was an incredible day! 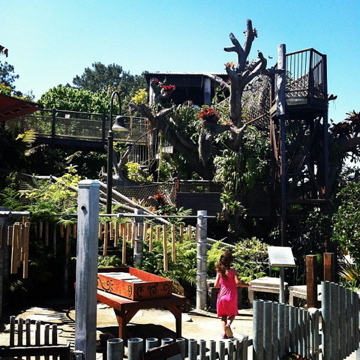 The Apartment Guide Blog has great articles encouraging you to explore your city, like this one, with the best model railroads in the nation including San Diego’s own Model Railroad Museum. If you are also looking for a new neighborhood or looking to move, Apartment Guide has the photos, floor plans, features and tips to help you find the perfect place! You can “Like” Apartment Guide on Facebook, follow them on Twitter @AptGuide and “circle” them on Google+for real-time tips and updates on exploring your city and neighborhood. We had a great time playing tourist guide in our neck of the woods and I hope I’ve encouraged you to do too! 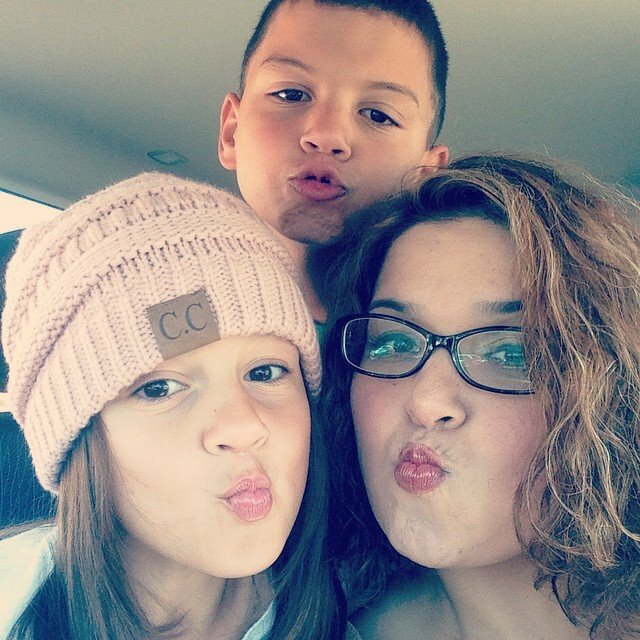 We had such a fantastic time this Memorial Day Weekend. On Saturday, my hubby, kids and myself jumped in the car and headed out to Crystal Cove to catch the sunset from the Shake Shack. It was spectacular. We sat in awe with a shake in hand admiring the beautiful scenery. We are so lucky to be surrounded by such beauty!